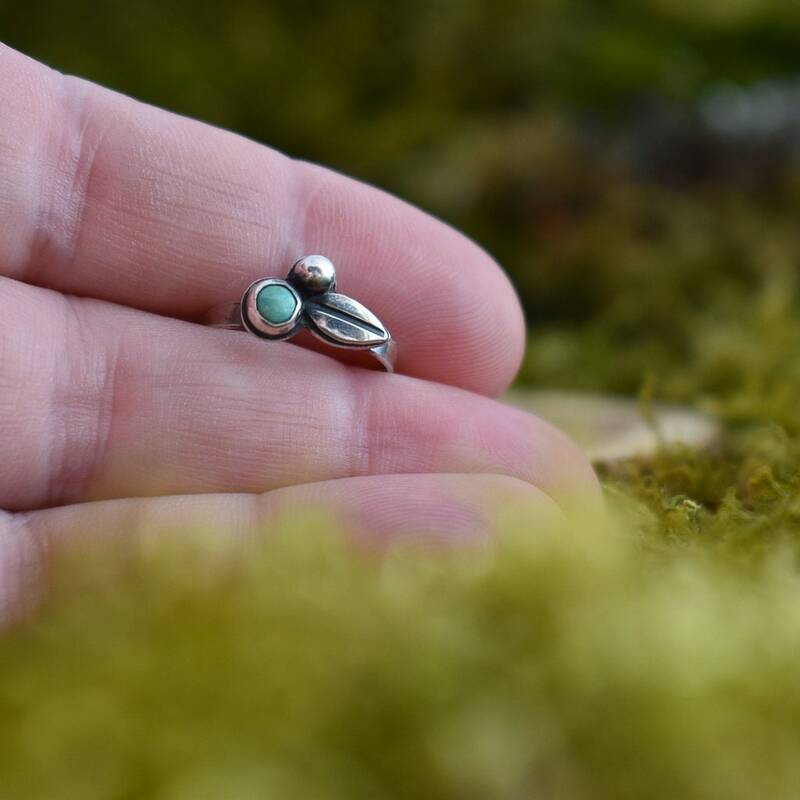 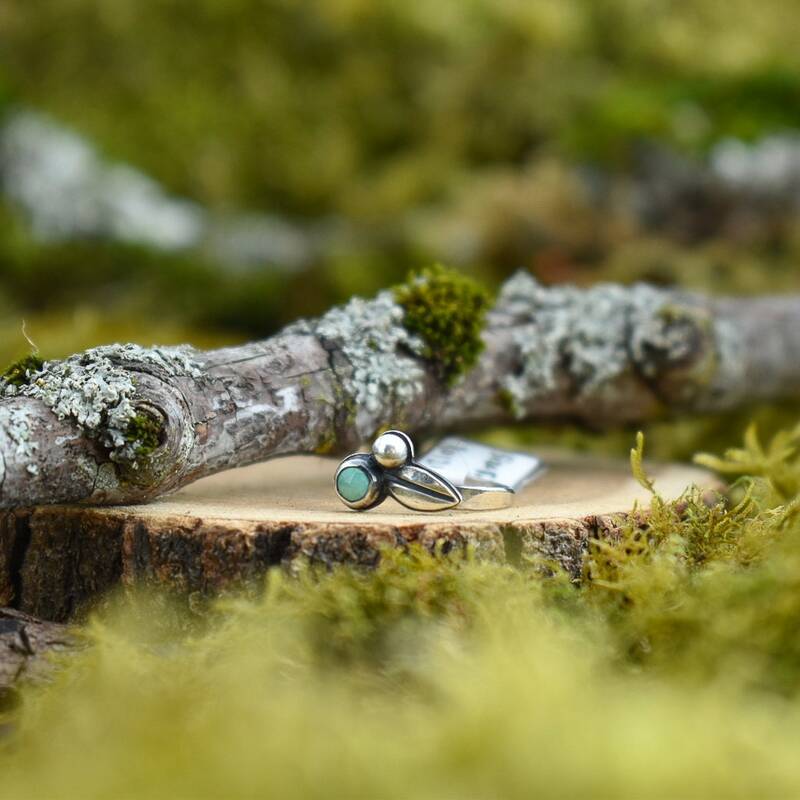 This ring features a drop of pale blue green, round Kingman turquoise, set in a simple bezel setting and nestled with a hand cut leaf and melted silver ball, on a half round band. 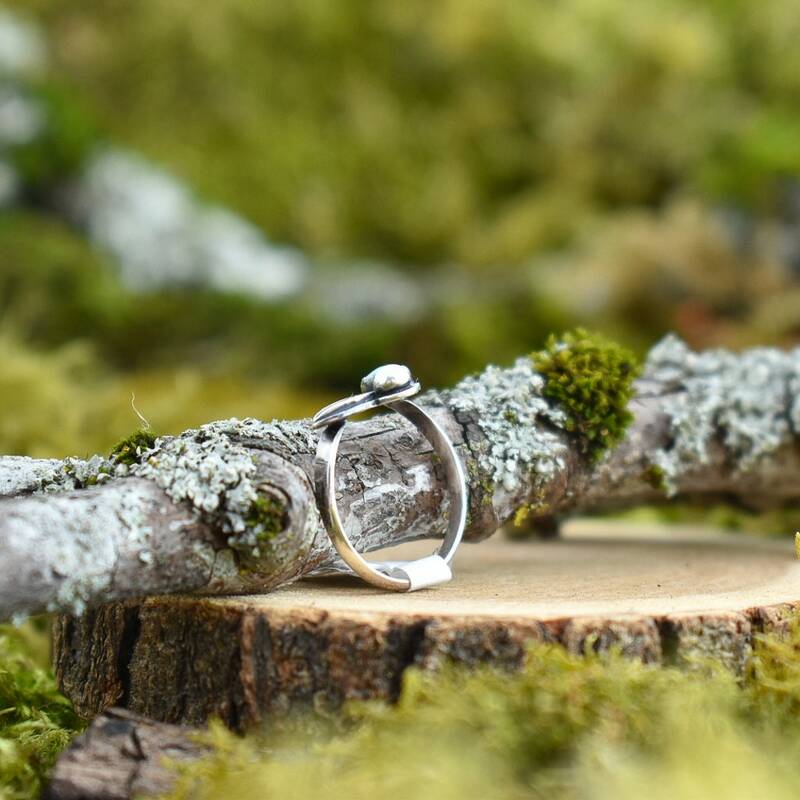 This ring was created completely by hand from silver sheet and wire using traditional silversmithing techniques. 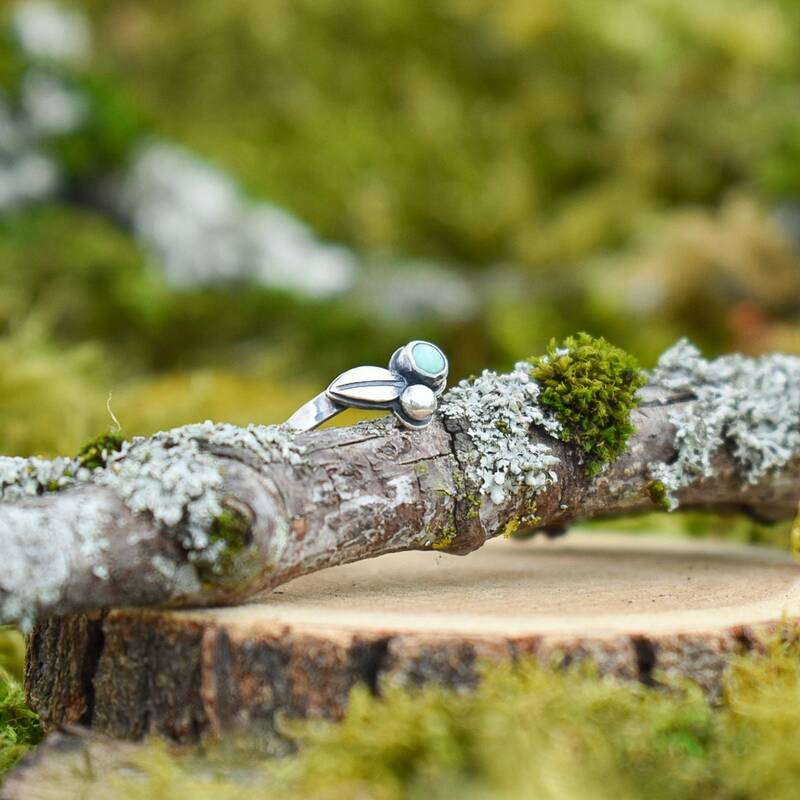 A hand applied dark patina accentuates the design. 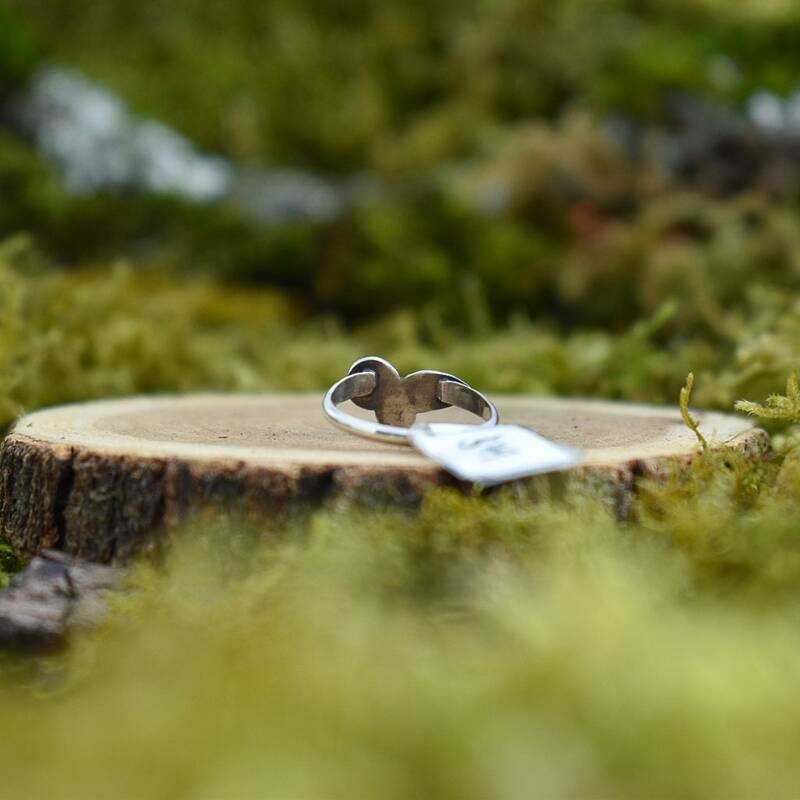 Ring will arrive in a small muslin bag, carefully packed with recycled shipping materials.